Just Call Me Chaviva: The Tzniut Project: Chavi Edition! 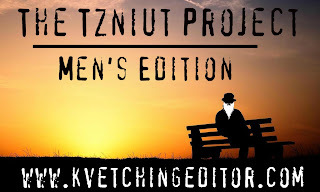 I've been very busy gathering and editing content for The Tzniut Project, and I've even started sending out some revamped questions for the Men's Edition of the project, which will have its first post on Friday, but I'm sure many of you are asking yourselves why I haven't answered the questions myself. The thing is, when I conceived of the idea, I hadn't really thought it was necessary for me to answer the questions. After all, I talk about tzniut all the time, and I post pictures of myself on the blog. However, as answers have come in from people I know "in real life" and those I don't, I realized that I found myself frustrated with some of the answers. I also found that a lot of people were asking "what about the men?" After all, tzniut applies to men just as much as women, doesn't it? Here are some general notes about the content so far, and following that are my own answers to the very questions I've put out there for everyone else. You may have noted inconsistencies in the capitalization of things like Modern Orthodox or Yeshivish, and this is because I maintained the capitalization of the author of each of the posts. I think how we capitalize things actually can say something about how we view denominations/movements/sects/streams. Am I nuts? Maybe. 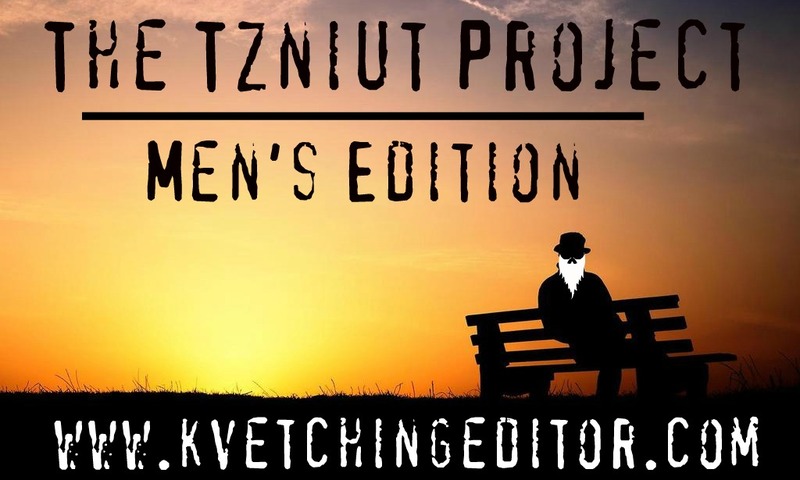 Some people have mentioned it, and some have not: Tzniut is more than just how we dress, and when it comes to men, this is probably one of the most powerful aspects of tzniut. It's speech, how we carry ourselves, the words we do and don't use in public, how we think, the way we do or don't touch our spouses or even people who aren't our spouses. It's the movies we watch and the stories we tell, the way we sit and the way we walk. If it were just about clothes and the cloth on our heads, we'd all be doing it right -- in some way. I think it's interesting how few people mention halacha when I ask about what tzniut means to them (props to No. 1 and No. 6 on this). I'm looking at everything through the lens of the editor, of course, and as someone who wanted to see certain things in the answers that sometimes weren't there. It's sort of like asking a reporter to write a story about x, y, z and him returning with something less focused but equally amazing. 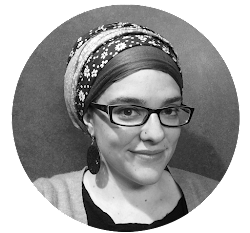 I established in one old blog post that hair covering is considered Dat Moshe (law from Torah), and I discussed why we do it the way we do it, too. But what about everything else? What about our hemlines and sleeve lengths and skirts over pants? Perhaps I should delve into the mitzvah of clothing and covering up. I enjoy looking at the law, anyhow! Kind of really loving this logo I made for the Men's Edition. Although I already mentioned it, the number of people asking for men to chime in on the questions was surprising, and I hadn't even thought about having men answer the questions. I revamped and reordered the questions, and I'm hoping that some men will take the time to answer the questions in full and really think about how tzniut fits in a man's world outside of just what his wife or children do/wear. And after seeing a teenager in Lazy Bean in Teaneck today wearing flip-flops, board shorts, a turquoise T-shirt, a Florida Marlins cap, and his tzitzit on top of this entire getup, I'm particularly interested in whether there are even requirements or expectations for men's attire in the realm of modesty. Okay, are you ready? You think you know my style? Let's see! I spent a long time calling myself Underconstructionist with the belief that everyone -- Jews and otherwise -- should always be under construction. I also am not huge on labels, since they do more harm than good and, we all know that labels are incredibly narrow. But I affiliate as Orthodox, and many would probably call me Modern Orthodox. I maintain a "centrist" view of Orthodoxy, but I'm guessing because I don't wear a sheitel every day and because I leave that tefach (hand's breadth) of bangs out, most would consider me "modern." Y'all know I'm a convert, so there's no chance I'd have a mom in stockings and black skirts. On that note, I don't remember much about my grandmother on my mom's side because we only saw her a lot when we were little and I haven't seen her in years. My father's mother died when he was a child, but in all the pictures I have of her, she's wearing a dress of some sort. My mom never dressed in any kind of sexual way when I was growing up, and she was fond of pants or shorts and T-shirts most of my life that I remember. Oddly enough, I don't remember ever having a desire to wear low-cut tops or short-shorts, so I don't remember ever getting a talk about modesty or being humble in my attire or the way I carried myself. I was sort of self-taught in the ways of how to act and how to speak. I was pretty modest on my own, but that was a result of image issues and a bad case of eczema. I do, however, remember that my dad insisted on us not saying any curse words, let alone words like "frick" that even resembled curse words. I am very married -- for a whole year, hoo-rah! 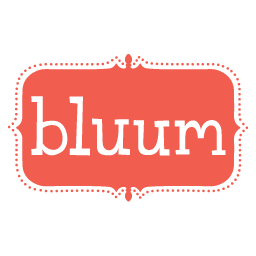 I've blogged about shomer negiah before, and I've gotten a lot of interesting reactions to my choices even though I never dressed in any way that would be suggestive (save a short period of time in Chicago when I was sowing my wild oats after losing 25 pounds -- I felt the need to "flaunt it" but it didn't help my body image issues). When Tuvia and I got married, he never sat me down to say that he wanted me to dress a certain way. His only real beef was regarding head covering: He didn't want me to get a sheitel. Tuvia likes the way I look in hats, and he is neutral about tichels and scarves. Every now and again, when I'm wearing something that might be more "low-cut" than normal and my clavicle happens to poke out, he'll make a comment or if my skirt is a bit too short or hugging, he'll say something. But he never demands I change or busts out some Talmudic dictum for me to wear something a certain way. Although he's read the books and knows the details, I'm the one who did most of the research regarding head covering for the blog, so it informed a lot of our understanding and made it "okay" for me to pick up a sheitel. On a typical day, you can find me in a below-the-knee jean skirt with some kind of shirt and a 3/4-length or long-sleeve cardigan with Crocs or other flats (sometimes toes peeking out if they're painted) and a knit hat or scarf of some sort. I have one jean skirt that hits me right at the bottom of the kneecap when I'm standing and when I sit it makes even me uncomfortable, so I usually wear this with leggings. Usually, however, in the summer, I'm bare-legged. On Shabbos, I wear things from the "Shabbos" section of my closet! Black skirt, some type of fancy top with a shell under and a cardigan over it. I'm all about layering, even if I'm boiling. I don't wear a ton of makeup on Shabbos, because I've become uncomfortable with the idea of putting makeup on on Saturdays because of certain prohibitions, so I try to go without, which has become easier since I got married! I haven't worn a short-sleeve shirt in public in nearly two years, and I haven't worn pants in even longer. Pants were easy for me to give up -- it's hard to find pants that fit perfectly anyway. Also, I've been a sucker for layering and cardigans forever, so modest dress was natural. I'm guessing most people think I'm Modern Orthodox because my hair isn't completely tied back. However, I did find out that many people thought for a long time that my bangs were clip-ins! Impressive, right? I think people usually infer that I'm religious, but normal. Modern, but that there must be a rhyme or reason to why I wear what I do. 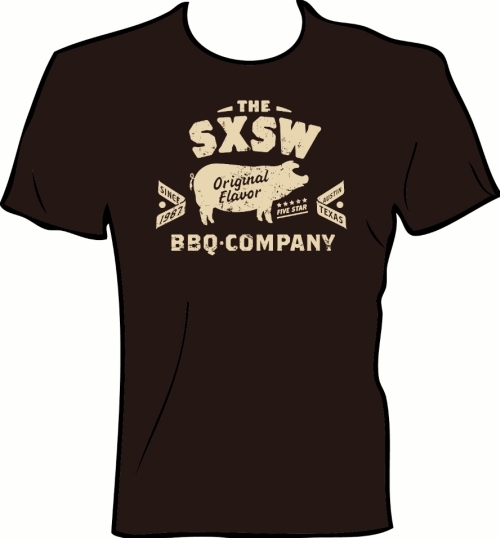 Although, yesterday when we were at the outlets at Woodbury Commons, there were a million women there from Monsey or Kiryat Yoel or something, and I was wearing my SXSW T-shirt with a pig on it with a cardigan and boy oh boy was I getting some looks. Probably not a good idea to wear that shirt around, irony or not. I used to be a very T-shirts and jeans kind of gal, and I lived at thrift stores. There are some who can pull this look off today, and I can on somedays, but sometimes it makes me feel "dressed down" and not a good representative of how modesty can be beautiful and meaningful. For those who knew me "before" I joined the dark side, I think my skirts, cardigans in boiling weather, and insistence on covering my head/hair means that I'm something I'm not. I wish more people would ask questions than make assumptions. I asked this question and I don't even know if I have a good answer. I hope people think it means modest = cool! I wrote about this here. I got a lot of flack for it, but I was happy that so many others who answered these questions were honest and said "yeah, we judge, it's part of who we are." I'm not alone, I just tend to be the only one willing to say what people are thinking. It's a system, and to acknowledge that what someone else does makes you uncomfortable means you're discovering something about yourself. When I saw those women at the outlets in dark stockings with the line up the back and their hat-on-sheitel looks atop black-and-white everything, I thought to myself "Are you people nuts? It's so hot out here!" I noticed a frum couple digging through a sale table ... of sweaters ... in 80+ degree heat and thought the same thing. But they're sticking to a level of modesty that they view as necessary, and for that I admire them. It just takes a few seconds to get to "respect" after "assumed insanity." For me, the first thing I think of is, "Where does it come from? What does it mean? Why do we do it?" I suppose it's only natural that I'm plagued with questions from square one. It's easy for me to explain to people why we cover our hair (the sotah portion) and why we cover as much or as little as we do. But when it comes to clothing and speech and thought, it's a lot harder. As many others have said, it's a type of lifestyle, but lifestyle sounds too much like choice to me, and for me, yes I choose to do it, but the outline of what's to be done is less of a choice. Tzniut means more than modesty, it means living your life in a way that others wish to emulate. Making your modest clothes look beautiful, to emanate inner beauty, to carry yourself in thought and speech in a way that others say "Wow, if that's what tzniut is, then count me in." It's being a light, really, unto all people. It's being humbled before haShem and all that's been provided us. HaShem told you what is good and what is required of you: do justly, love mercy (loving-kindness), and walk humbly (modestly) with HaShem. The word used -- הצנע (ha'tznea) -- is the same word/root for tzniut. So, basically HaShem is saying "Walk this way." I think I've said enough ... for now.